On an overcast late summer day, we were cycling north of Prague along the Elbe River, on the way to Hamburg, when we rolled into the ghostly former Terezin concentration camp. The Germans had established the camp in an old fortress and prison, and had intended it initially as a demonstration for the Red Cross and others about the reasonable treatment of the Jews. We rode around the quiet camp, and parked our bikes so we could tour the museum, barracks, crematorium and cemetery. Only a day before we had been in splendid Prague with its rich Jewish history, synagogues and museums—and had just cycled along a route that mirrored the path and pace of the deportation trains used by the Nazis so many decades ago. Now we saw where many of those Prague residents met their final fates or were transported to worse places, like Auschwitz. Cycling had provided us with a special opportunity to make this journey from Prague to Terezin—and so many other opportunities to see sites linked to Jewish history and culture in Europe. For 20 years I have taken self-guided cycling tours along Europe’s rivers, resulting in my book, Cycling Along Europe’s Rivers. One of the most interesting features of our rides has been visiting numerous Jewish sites. I wanted to outline how to combine a European cycle tour with exploring Jewish history and sites. A two-week ride can take you through major Jewish sites in Prague, Vienna, Bratislava and Budapest. This type of touring is affordable and accessible to riders of almost all ages and abilities. This last summer, for example, my ride included my 86-year-old uncle and 8-year-old son. One caveat: the sites visited on these rides are interesting and rewarding, but in many cases you are visiting a lost Jewish world. Today, these sites are a shadow of their former glory, with small or no populations, museums, grim death camps, monuments and cemeteries. The world that hosts most of this history, the cities, large and small, are now attractive and interesting places to visit, co-existing with this grand and tragic Jewish past. On a hopeful note, we found that the Jewish communities are beginning to expand again, some with several synagogues. Start by heading south down the Elbe River from either Hamburg or Berlin, or by heading north from Prague. Hamburg is a vibrant and fascinating city with a rich Jewish history beginning in the 16th century. Few Jews remained after World War II, but today there is the reopened Talmud Torah School (originally built in 1911, reopened in 2007) and the New Dammtor Synagogue. Also visit Born Street, the site of the Bornplatz Synagogue, the Monument to the Deported Jews and the cemetery dating to 1611 with gravestones engraved in Hebrew. Head down the Elbe and then over to Berlin. Berlin is a great city that hosts many Jewish sites, and one of the fastest-growing Jewish communities in Europe after a recent Jewish rebirth. Berlin has a beautifully renovated grand synagogue (plus more than 8 others), two Jewish newspapers, a Jewish theater, and more. 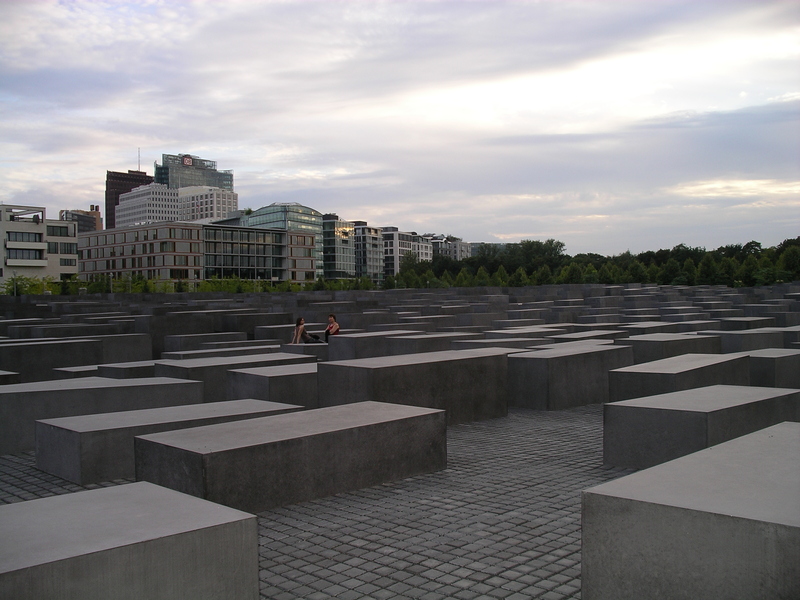 Visit the historic Jewish Quarter, the New Synagogue, the Old Cemetery, the “Places of Remembrance” signs, the terrific Jewish Museum, the Topography of Terror exhibit, the Holocaust Memorial and the Wannsee Mansion. Head south along the Elbe to Dresden, a city leveled during World War II but rebuilt into a thriving, attractive metropolis. Stop by the 18th-century Jewish cemetery, but also explore the new, small community that is developing. I especially enjoyed the New Synagogue, completed in 2001, in the same location as the historic Semper Synagogue that was destroyed in 1938. In 2006, it hosted the first rabbinic ordination in Germany since the war. Next we cycle to the Terezin concentration camp. Unlike so many other camps that were generally death or slave labor camps, Terezin had an extraordinary cultural life—at least for a period. This period proved short-lived, and only the moving story, buildings and medieval fortress and prison remain. Further down the river we ride into the magnificent city of Prague, a center of Jewish life since the 10th century. Once home to a thriving Jewish population, Prague today has only about 5,000 Jewish residents, but does host some of the most interesting Jewish sites in Europe. Among them are the incredible Old Jewish Cemetery, several historic synagogues (including the Old-New Synagogue, the oldest active European synagogue, dating to the 13th century) and the Franz Kafka museum. Also consider visiting Kolin, home to the second oldest synagogue in the country (1642), and Plizen, famous for its Pilsner lager, but also for its Great Synagogue, the second-largest in Europe. You can start this ride in Regensburg, Prague or Passau. If starting in Prague, a tour can take you either south through Cesky Krumlov to the Danube River, or through the Greenway Route to Vienna. If the ride begins in Regensburg or Passau on the Danube, consider flying into Munich, and take time to see the city’s Jewish sites, including the Jewish Museum, the new Ohel Jakob synagogue and a potential trip to Dachau. Regensburg is one of Germany’s best-preserved medieval cities, and is the site of the oldest Jewish ghetto in Germany. A visit can include the former synagogue memorial, Neupfarrplatz (former Jewish Quarter), the Jewish Cemetery and Oskar Schindler’s house. Also consider a stop in Straubing on the way to Passau to visit its synagogue from 1907. The ride from Passau to Vienna is one of the easiest in Europe, and so beautiful it is sometimes easy to forget its darker history. These memories are brought front and center at the Mauthausen concentration camp, where more than 105,000 people died. Not far down the river is Linz, which was home to the second-largest Jewish population in Austria. Today you can visit the New Synagogue, the Jewish cemetery and the old market. This route ends at one of the great cities of Europe: Vienna. By the 1930s, Vienna was home to as many as 200,000 Jews. Visit the Old Jewish Quarter and the Judenplatz, the Stadttemple Synagogue (1825), the remains of the 13th-century synagogue, the Jewish Museum and the Holocaust Memorial. Start with a day ride from Vienna to Bratislava, the capital of Slovakia. Bratislava was a great center of Jewish learning before the war, and at one time over a third of the city was Jewish. Today, it has a charming, renovated Old Town, but only about 800 Jews remain. Visit the Heydukova Street Synagogue (1926), the Holocaust Memorial, the Museum of Jewish Culture and the tomb of the famous scholar, Chatam Sofer. Riding further toward Budapest visit Gyor, with its synagogue (1871) that is now a museum, and Vac, Hungary, with its synagogue originally built in 1864 and reconstructed in 2005. Continue riding past the beautiful Danube Bend, and soon Budapest is on the horizon. 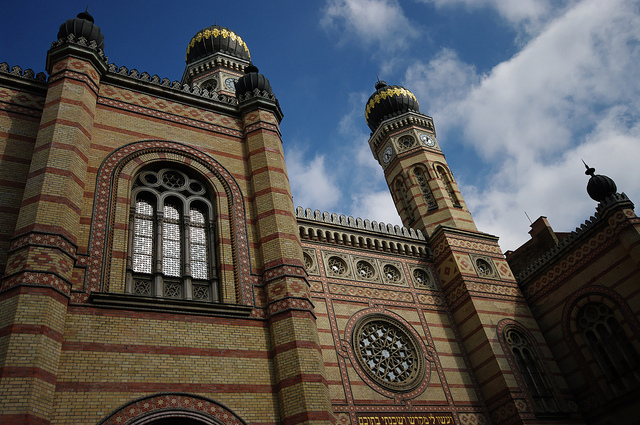 Hungary’s Jewish history dates back more than 1,000 years. Today, the historic Jewish area can be explored, but you can also visit a modern Jewish city with more than 20 working synagogues, kosher restaurants, two colleges, a Jewish hospital and other Jewish schools serving a Jewish population of more than 90,000. Jewish sites include the Jewish Quarter, the grand Dohany Street Synagogue (the largest in Europe), the unforgettable “Shoes on the Danube” Memorial and the Raoul Wallenberg Memorial Park. Michael Lyon has been cycling for over 40 years, has toured Europe through self-guided travel since 1994, and wrote the best selling cycle guide, Cycling Along Europe’s Rivers: Bicycle Touring Made Easy and Affordable.